It was supposed to be a routine trip. Instead, a Northeast Ohio pilot is grateful to be alive. As he was flying Air Bear, the medical transport helicopter used to rush seriously ill and injured children to Akron Children’s Hospital, over Labor Day weekend, a green laser light struck his cockpit, temporarily blinding him. It was the second time the helicopter was hit by a laser strike this year. On Memorial Day weekend, a green light illuminated the cockpit of another pilot as he was flying Air Bear near the Akron-Canton Airport. The local FBI office was notified about the strikes, but no one has been arrested. Whether flying critically ill children to safety, or piloting commercial aircraft carrying hundreds of passengers, pilots in Northeast Ohio and around the world are on guard against laser strikes. An exclusive 5 On Your Side investigation found more than 40,000 laser strikes against aircraft have been reported in the U.S. since 2010, jeopardizing the safety of pilots, passengers and the public. Pilots flying in Ohio are among the most targeted in the country. This despite a federal law aimed at reducing these incidents. “Laser strikes can not only delay care, but they endanger our crew, pilot and the children and families that we transport,” Volsko said. We spoke to some of those pilots whose lives were at risk after being targeted by laser strikes. The night of July 19 was not the first time a laser beam lit up the cockpit of Thiel’s Columbus Police Department helicopter. In the nine years since Thiel began flying, laser strikes have been a constant threat. A few years ago, he experienced a direct hit to the eyes. The beam burned his retinas, and his eyes ached for weeks. During the July 19 incident, a warning from a fellow pilot under attack prevented Thiel from another direct hit. He was still startled by the bright light. “It’s not like someone called and gave us a five-second countdown,” Thiel said. He managed to recover quickly and searched for the suspect from the sky. But he said the temporary blindness caused by a laser strike could have jeopardized the safety of the flight. We don’t have video of the strike against Thiel, but below you can see when a Cleveland police helicopter was struck with a laser the night of July 4, 2014. That pilot was temporarily blinded. So, how can a few millimeters of light from a laser beam endanger aircraft thousands of feet away? We asked Case Western Reserve University Professor Ozan Akkus, a physicist and expert on lasers. Using a small laser beam from his lab, he showed us how light from a laser expands as it travels into the sky. It’s not just about the distance. Akkus said the curvature of the cockpit and particles within the window also expand the light. “So now we are in a situation that a very small light of origin becomes a strong light source that is capable of illuminating the cockpit at high levels of intensity,” he said. He said how the human eye reacts to the light further endangers the pilot. “Suddenly, you’re like deer in headlights. It startles us. We can even go blind for a certain amount of duration." “Your pupils are dilated because you’re trying to see in the dark,” Akkus said. “Suddenly, you’re like deer in headlights. It startles us. We can even go blind for a certain amount of duration. It can be seconds, even minutes. How often do laser strikes happen? Thiel’s experience is terrifyingly common. There were 41,796 incidents of laser strikes against aircraft reported to the Federal Aviation Administration (FAA) between 2010 and 2018, according to a News 5 analysis of FAA data . The reports include strikes against several types of aircraft, including medical transport helicopters and large passenger planes operated by major airlines. California reported the highest number of laser strikes. There were 3,380 incidents recorded by the FAA during the time-period we reviewed. Ohio ranked 17th with 761 reported laser strikes. Cleveland Hopkins International Airport reported 165 incidents. There were 84 reports from Akron-Canton Airport. The pilot of News 5’s helicopter said he’s already experienced one near miss. Before he moved to Northeast Ohio, Bartle taught flying lessons in Portland, Ore.
During a flight several years ago, the pilot flying in front of him suddenly issued a warning. Bartle steered his helicopter away from a laser beam seconds before a burst of light filled his aircraft. Concerned about the growing number of laser strikes, Congress made it a federal crime to aim a laser at an aircraft in 2012. We found a handful of individuals convicted under the new law, including 30-year-old Sergio P. Rodriguez. Rodriguez spent four years in federal prison after he was caught aiming a laser at aircraft in Fresno, Calif.
We also found many states have their own laws banning laser strikes, including Ohio. 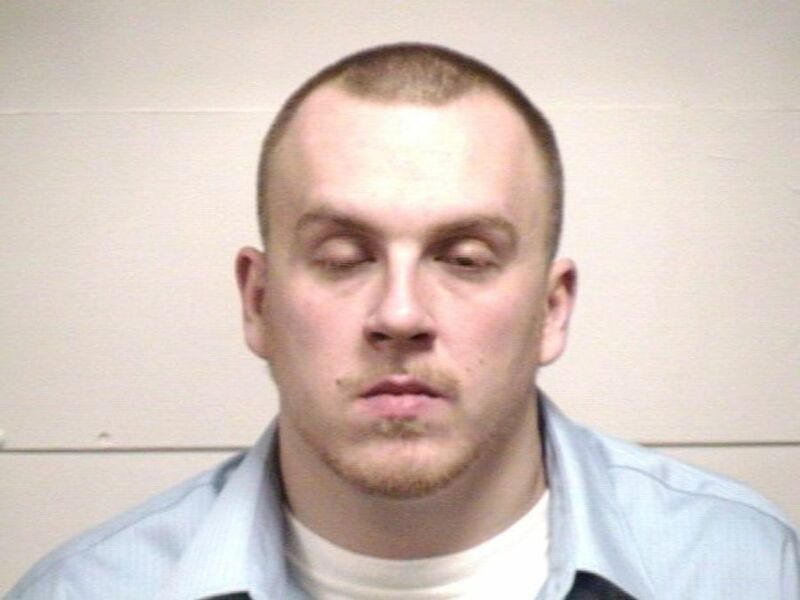 In June 2008, a Brook Park man, Justin Dewalt, was sentenced to two years in prison for aiming a laser at an aircraft. Cleveland Police caught him holding a high-powered laser shortly after they received reports of laser strikes against medical helicopters and passenger planes at Cleveland Hopkins International Airport. While finding the culprit of a laser strike can be like looking for a needle in a haystack, Columbus Police chopper pilot Thiel was undeterred the night he was hit months ago. At the risk of being struck again, he stayed in the area where the beam was coming from on the ground below. Soon, he spotted a man and notified officers on the ground. 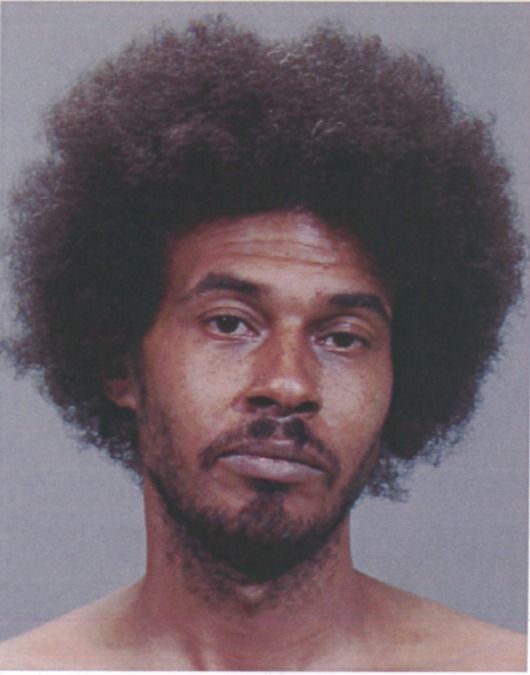 Eugene Robinson, 36, was arrested. He now faces up to 20 years in prison. Thiel was thrilled he helped make the arrest. However, he doesn’t expect the arrest to make the skies safer.